The INTERREG V-A Latvia – Lithuania Cross Border Cooperation Programme 2014- 2020 (Programme) is thrilled to announce its mobile application “LAT LIT VIETA”. With this app we invite people to explore diversity of Programme’s projects and to win prizes by visiting project sites in Latvia and Lithuania – starting for seaside trail in Roja to Akmene district sports center. Users of the app can collect points by visiting each object. With a minimum of 15 points (15 objects visited) user can claim a souvenir from the Programme or choose to continue playing and get more valuable prizes. 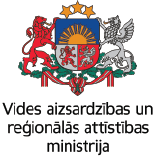 At the moment mobile application lists more than 160 objects across all four Programme’s priorities (sustainable and clean environment through cooperation, support to labour mobility and employment, social inclusion as a precondition to territorial development and improved quality of living through efficient public services and administration) in both countries. Programme has handpicked only part of its sites that are accessible to general public and interesting to visit in the meantime trying to give a glimpse of the wealth of Programme’s objects. Map of all Programme’s sites can be viewed on Programme’s website http://latlit.eu/supported-projects/. More objects will be added as they become available to visitors upon progress of the projects implementation. To download app, visit Google Play (for Android phones) or App Store (for iOs phones) and search for “LAT LIT VIETA”. When using app, users can conveniently look for objects around their current location on the map or search by keywords or choose from one of 5 categories: Cultural heritage, Nature, Education, Sports & leisure, Public services & infrastructure.